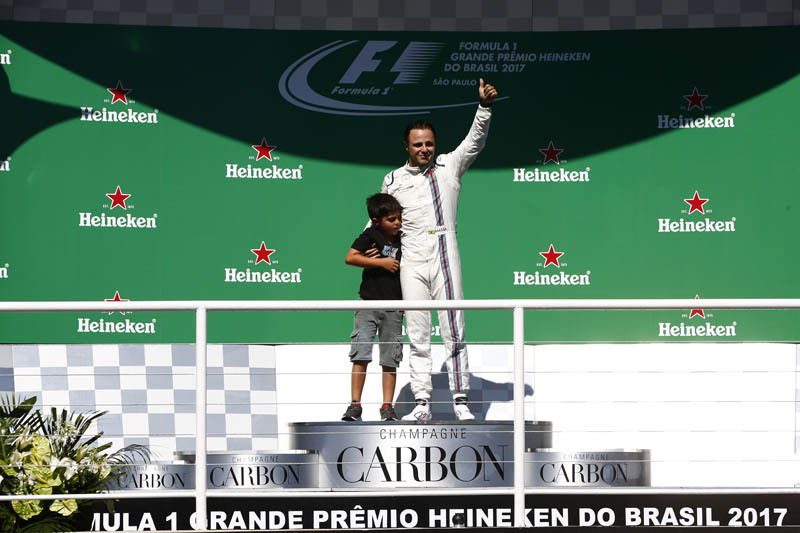 Felipe Massa finished seventh and Lance Stroll 16th in the Brazilian Grand Prix. Both cars started on the supersoft Pirelli tyre, with Felipe starting in ninth and Lance 16th due to several penalties to other drivers including a 5-place penalty for Lance after a gearbox change. Both Felipe and Lance avoided several accidents on the opening lap, to go P6 and P13 respectively. The safety car was deployed and Felipe made the most of the restart to take P5 from Alonso. Felipe pitted on Lap 27, with Lance pitting a lap later, both changing to the soft tyre. Felipe ran the remainder of the race in P7, with Lance running in P14 before a second stop put him back to P16. Felipe regains 10th in the Drivers' Championship, ahead of Lance in 11th. The team remains fifth in the Constructors' Championship with 82 points. Paddy Lowe, Chief Technical Officer: First of all, it was a fantastic race with amazing weather and a magnificent crowd. Felipe had a good start and got to sixth before the safety car was deployed. He made another position on the restart from Alonso and was able to execute a perfectly timed pitstop to prevent the undercut from Alonso. Alonso spent the whole race trying to come back but never made it stick, even whilst under threat from Perez who was behind. Felipe drove a perfect race, managing all of his systems, and particularly the tyres, to maintain that defence and finish very strongly as the "best of the rest" in the current competition. On Lance's side, he had a problem with his gearbox yesterday which meant we damaged his fourth power unit of the season and he had to revert to his third power unit for qualifying and the remaining races this season. That power unit is down on performance in comparison so it was never going to be easy for Lance to get points today. Starting 16th, he was having a good drive before getting stuck behind Grosjean for too long and he flat spotted a tyre trying to get out of that situation for which he paid the price later on as eventually the flat spot caused the tyre to delaminate. Lance took a final set of supersofts for the last three laps. But today was Felipe's day and the team are extremely happy that we were able to provide him with the material and support to deliver such a perfect result at his final race in Brazil. So, congratulations to him for the race today. 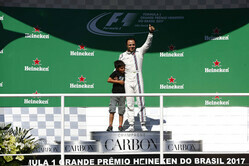 Felipe Massa: It's such an amazing result and such an amazing feeling to pass through all of this in my career. The race today was perfect, from beginning to end. An amazing start, overtaking a few cars, then an amazing restart after the safety car, passing Alonso. I knew it would be very important to pass him for my race and result. After that, a perfect race. I managed to keep him behind, even without tyres at the end. I'm so happy and emotional about my race today. I finish with my head held high, that's the most important thing, in this place which is amazing for me. The only thing I can say is obrigado, I will miss all of you guys. Lance Stroll: Everything has been bad this weekend. It was very hard for me, because with the power unit we changed to after a problem in FP3, we had no qualifying mode, so I was running the old spec power unit and was losing time, lap after lap. I then stalled at the start and just couldn't compete. I had a flat spot and I knew there was going to be a problem. I had Grosjean on old tyres, I had DRS but I didn't have enough drive to get alongside him so I had to dive and then you risk a flat spot and that is just what happened. All in all, it has been a tough weekend and now I am just looking forward to Abu Dhabi.